Obituary for Frances Evelyn Campbell - Hope | Maloney Funeral Home, Inc.
Torrington: Frances Campbell Hope, 82, passed away on Friday, February 16, 2018, at Litchfield Woods in Torrington following a lengthy illness. She was the wife of John I. Campbell who died in 1985 and most recently to Robert E. Hope. Born in North Springfield, VT, she was the daughter of the late Raymond and Christine (Lilly) Cross-Hill and had lived in Northwest CT for the past 15 years. During her working career Frances was a nurse for 30 years until she retired in 1995. She had worked at Norwalk Hospital, Elmcrest Terrace Convalescent Home in Norwalk, Waveney Care Center in New Canaan, and her last place of employment was Lea Manor Convalescent Home in Norwalk. After retiring, she moved to Spring Hill, FL. She was a former member of the First United Methodist Church in Norwalk and current member of the Winsted United Methodist Church. Frances loved music, painting, reading and writing poems. 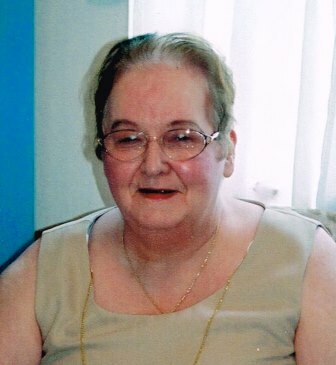 In addition to her husband, Bob, of 28 years, she leaves three children, Mark A. Campbell, Sue E. Bessette and Lynn Campbell Deschamps; three brothers, Roger Cross, Gerald Cross and Kenneth Hill; three sisters, Thelma Anderson, Barbara Lapinski and Winifred Bradley; six grandchildren, Heather, Brittany, Alexander, Christina, Joseph and Dylan. She was predeceased by her daughter, Jill Anne Speer and three sisters, Anita Gay, Irene Marble and Geneva Ozdarski. Funeral services will be held on Saturday, February 24, 2018, at 11:00 AM at the Winsted United Methodist Church, 630 Main Street, Winsted. Burial will be at the convenience of the family. There are no calling hours. 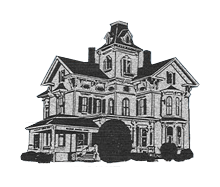 Memorial contributions may be made to the Winsted United Methodist Church. To leave an online condolence, please visit www.maloneyfuneral.com.